Every area of any organisation or group, needs to be goal orientated for success. Goal Mapping is the master skill for achievement in all areas of life, and is undoubtedly the most powerful empowerment programme available to businesses today. Companies are downsizing, merging and transforming. 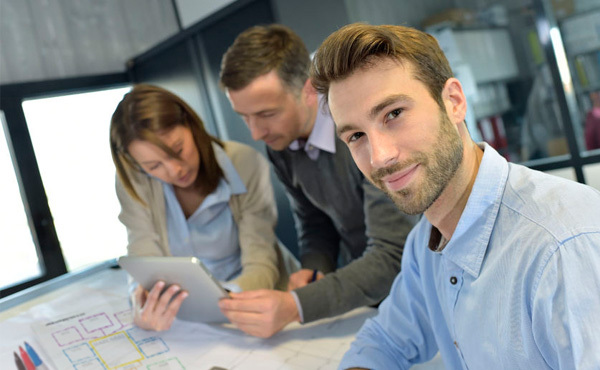 New industries are being created, and traditional businesses and working practices are disappearing. In these fast-moving times, if any organisation is to succeed, it must be dynamic, flexible and creative. And a company can only achieve these qualities if they are also the qualities of the individuals within it. As such, the most successful organisations will be those that are purpose-driven and principle-led. Through genuine care, such organisations will develop their people into true leaders. The qualities of a true leader are the qualities of success. They are the qualities that produce successful teams, successful departments, successful cultures and successful organisations. Although personal leadership is one of the most highly prized attributes, it is the least taught or consciously developed. This is where Goal Mapping can help. Goal Mapping, is used by blue-chip organisations such as BT, Microsoft, Siemens, Disney and Coca-Cola. It’s also used by educational establishments, sport and fitness groups, health forums and personal-development forums. While Goal Mapping is available in a wide variety of formats, the most popular approach employed by businesses is the Success Workshop. This 1-day course is focused on helping people learn how to steer change towards the direction of their desires, through the process and technology of Goal Mapping. Participants will learn through brief lecture sessions, skill practices, interactive work and fully illustrated workbooks. 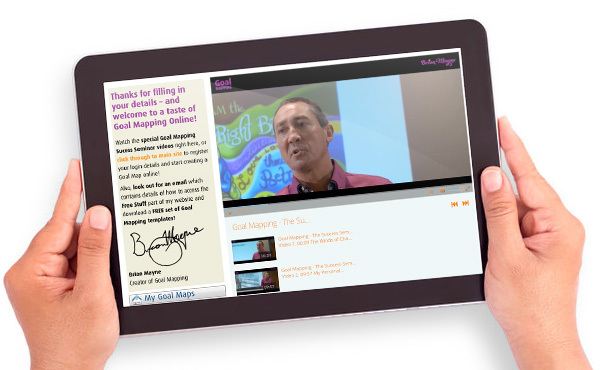 Fill in your details to watch FREE Goal Mapping Success Seminar videos.